Where are you from : Cairo. When and why did you start cycling? I think it was 2009 when I got the first bike, when a friend introduced me to the wadi. I mainly started riding because I wanted to do activities to make me get away from my job (mentally!). Road, off-road, or both? Off road all the time. I never got a road bike. But sometimes I ride my bike around on the road. Tell us about your bike(s)? When I started going the wadi I got the a cheap Peugeot full suspension to start with it. In early 2013 I got my Specialized Stumpjumper FSR after consulting with fellow MTB Egypt riders. Favorite ride(s) (road or off-road): I like the ride to have no wind at all and to start late as possible :D, and anything that will make me go down. I hate climbing. Do you practice other sports? Mainly swimming. Tell us about your cycling-related injuries/accidents: I managed to break my front teeth which was already broken before. This time i have decided to replaced it with a cheap teeth just in case I crash again. I have some scares on my side and every now and then I manage to fall, it’s a part of the sport. 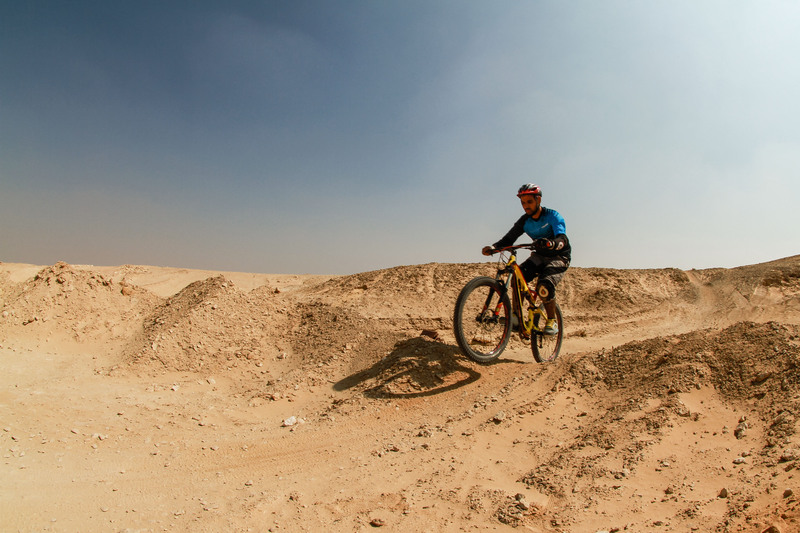 Previous PostMTB Egypt Rider of The Month: November 2013Next PostMTB Egypt Rider of the Year awards: voting is open!